Everybody who’s anybody will be there! 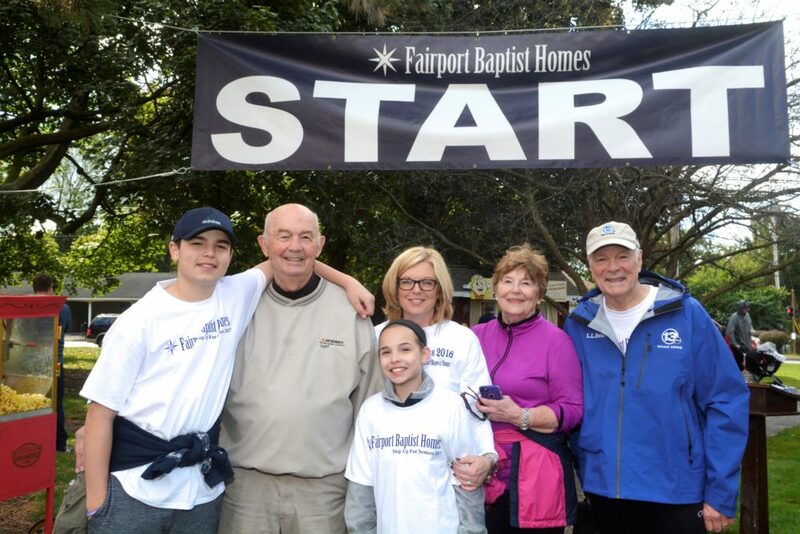 Join us at our annual walk to increase awareness and raise funds to enhance the incredible Fairport Baptist Homes programs and services that benefit thousands of area seniors. YOU’LL WANT TO BE PART OF AN EVENT THAT’S SURE TO DRAW A CROWD! BENEFIT FROM SOME REALLY HEALTHY EXPOSURE. Check out all the ways you’ll gain invaluable exposure before, during and after the walk. Your sponsorship will enable you to promote a positive corporate image and engage your employees and their families in a fun, healthy activity. SHOW YOU’RE A COMPANY THAT CARES. Funds raised will allow us continue to help thousands of area seniors through programs like Rehabilitation, Skilled Nursing, Assisted Living and Senior Housing. As a walk sponsor, you will join a select group of caring companies who have recently sponsored Fairport Baptist Homes events, including Health Direct, Colonial Life, Arthur J. Gallagher & Co., Harter Secrest & Emery, Merrill Lynch and many others! GET CLOSER TO YOUR COMMUNITY. This annual walk will draw hundreds of supporters from the area, including Fairport Baptist Homes staff, residents and their families; supporting organizations, local churches, schools and more. The walk will begin in front of Fairport Baptist Homes and proceed through the village of Fairport to the canal.